When you're pregnant every woman and their mother wants to fill you in on the products that you most definitely need. 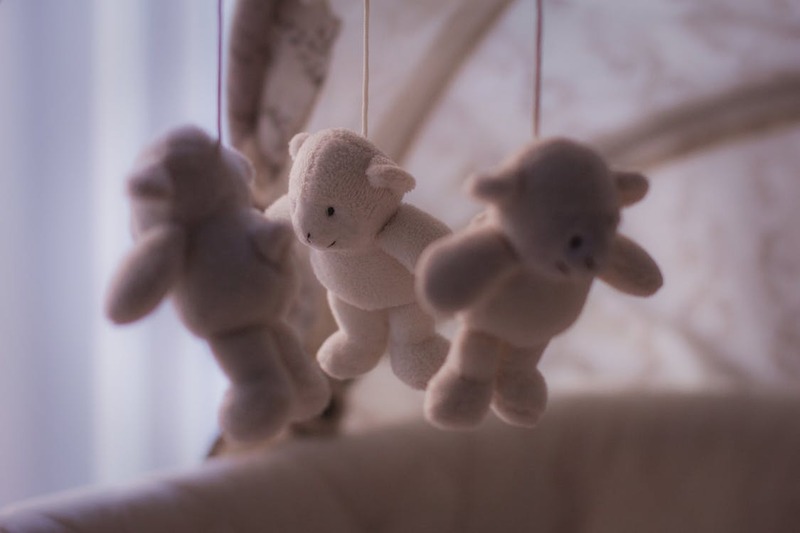 You hear never ending stories of what baby swings worked miracles and the things that got their child sleeping through from the day they were evacuated from the womb. In hindsight it's super obvious that what works for one wont for another, as with us adults, we all have our preferences and in reality, babies are absolutely no different. In the same respect what you love one day, you can loathe the next. Parenthood is very fickle. What I did find out however, was that nobody really talks about the products that were a huge waste of money. I sure as hell spent a tonne of money on things that didn't have the tag ripped off or that sat in their nursery till this day. Ah yes, the nursery, you know that room that just had to be finished before the baby came but still sat there untouched until they reached half a year. Baby shoes - The biggest gimmick there is in the world of baby clothing (and trust, there are many). It's just a ridiculous idea, firstly why on earth would you want to squeeze and cram tiny baby toes into shoes that are never, ever going to touch the ground. I'm talking your baby, babies here not when your small is cruising around. The sizing isn't great is it, I mean 0-3 months for a shoe, what's that about. Imagine if I bought shoes for a '25 years and 3 months', there is no way they can be a good fit or even comfortable for that matter. In the winter months your little one will most probably be in one of those padded snowsuit monstrosities that give you anxiety whenever you pop them in the car seat. (We've all seen the scaremongering facebook post right?) So there isn't any room or need for shoes with them. I probably amounted at least 10 pairs of shoes for Noah before he was born, a complete and utter waste. Teddies - If you're ever contemplating buying someones child a teddy, I can tell you right now to put it back on the shelf and walk away. The thought is lovely but they're just not practical. Some children love soft toys, my boys however, did not. The plethora of stuffed toys just occupied dust and space in our home because I felt serious guilt over getting rid and had the notion that maybe 'one day' they'll play with them. I don't really know how much fun could be had with a beanie baby but it's there just in case we find the answer to that over the next 18 years. Baby baths - This could be a close contender with baby shoes, though I think it falls to a second place as they don't usually cost as much. Alas, they are just as redundant. What else could you want to wash your precious, delicate newborn in other than a slippery, awkward, fiddly 'baby bath'? Bathing newborns is never a fun experience, especially if it's your first which it no doubt will be if you've bought a baby bath because by the time your second has come along you've gained some sense and whacked that crap on gumtree months ago. Don't add the extra grief to your life by trying to work out the logistics around a basically waterslide of doom that is the 'baby bath', just hop in the tub yourself and hold baby or roll out the good old fashioned sink bath. Baby monitor - Perhaps a little more of a controversial one but this is relative to us. With Noah, a baby monitor was vital, we lived in my parents house at the time which is a vast property in comparison to our house now. In fact, the monitor would even lose range depending how far across the house we ventured. However, we're not in that situation anymore and like most people I know, we live in a semi-detached 3 bed, I can just about hear the neighbours fart next door if all is quiet in ours. As much as my other half might like to make it appear, you can definitely hear Patrick when he wakes, no matter what time of night. So though I really love our baby monitor and we do still use it to this day (mainly for the temperature function and for peace of mind) it really isn't a vital necessity. Unless of course you're living in Buckingham Palace. Sleepyhead - Another relative choice. The sleepyhead is a fantastic product, undoubtedly. For those first few weeks it seemed to be a lifesaver, Patrick slept through (I know, I hate me too) and it was the product I wished for when Noah was a baby. But, at six weeks old he decided to give me a metaphorical middle finger by becoming a tummy sleeper. Goodbye sleepyhead for fear of suffocation and bring in the frustration that I hadn't waited to see how my baby would sleep, before trying to solve sleeping troubles that weren't even there. No idea what a sleepyhead is! Guess I never needed it... I like my baby monitor for determining from the pitch/tone of the cry whether I need to go and settle but other than that I agree with your list! For us shoes were a complete waste of money but I knew that from the start so we only had what was given as gifts. The worse purchase for me was the tomy bin for nappy, you go through loads of those expensive liners. I think we ditched it around 2 months or maybe just about 3.